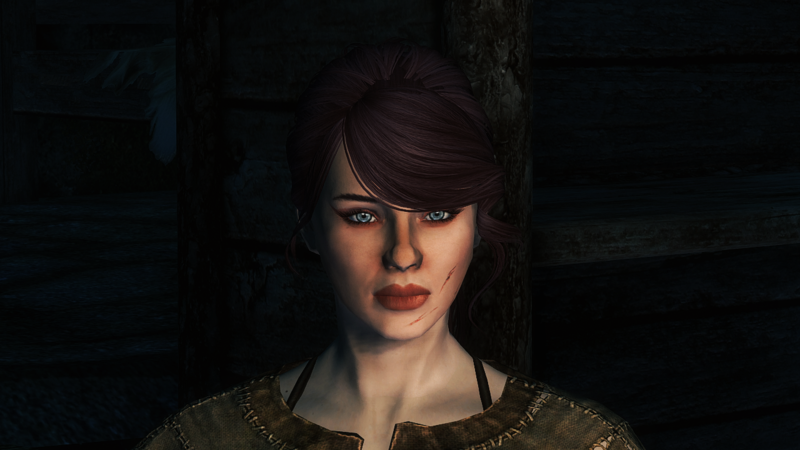 The Elder Scrolls V: Skyrim never lost its magic in five years, players being constantly in love with it posting screenshots on Flickr and modders always at work to create new and better content for our characters. With the remastered version finally unlocked on Steam (if you already owned the definitive edition, that is), however, a few negative reviews have started to appear on Reddit and gaming blogs; people expressing their disappointment for the overall graphics, which appeared worse than the modded Skyrim. They also complained for Bethesda’s decision to disable all the Achievements in case of mods, thing that our beloved community immediatly cared to fix. Now, if you are familiar with Nexus Mod Manager or Mod Organizer, you already know that modding Skyrim is anything but easy. Certain files may not be fully compatible with what you have, they also could conflict with one another and make the game crash on startup, sometimes even a wrong load order may ruin your experience completely. If you have installed a bunch of new files you will be forced to spend hours over them trying to figure out which mod is breaking Skyrim. Even if you have modified tons of games before you always need to be careful here, testing everything over and over again in order to find the perfect configuration. With that said, this article is mainly about Mod Organizer, simply because it’s what I use and what many other people seem to prefer for its interface and features. If you use Nexus Mod Manager I cannot offer any support for it at the moment. First things first, there are a few things that you need to know about Skyrim SE. The new version and the old game are not the same thing, thus if you want to install the remastered version but also want to keep the standard Skyrim, you can actually have them both in your computer because they will not conflict in any way. No main files, mod folder nor saves in common. Mod Organizer usually installs your custom content into a new folder instead of the common path in Skyrim/Data, this way you can easily remove everything if you want to start over. The Special Edition just came out and many of the old mods are no longer compatible with it. Everything is still in a sort of experimental phase, although a bunch of files have been already properly converted and others still work perfectly without any additional work. The SKSE is a tool used by modders to implement tons of new scripts and functionalities, previously required by the majority of created mods. Sadly it is not yet available for the Special Edition, reason why a lot of old stuff cannot be ported unless someone decides to recreate them from scratch and make them work with the default UI. 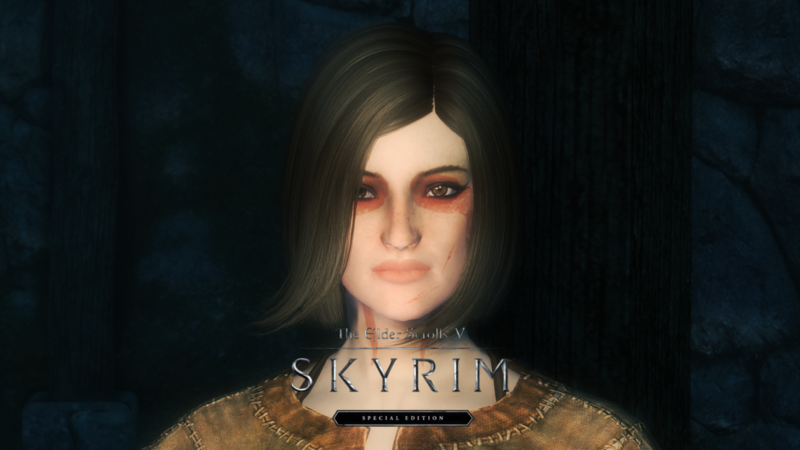 The Racemenu is used in the standard Skyrim to change your character appearance whenever you want, playing around with its many sliders and options also allowing you to apply new face presets previously installed and to obtain a different shape using the sculpt tool. This way you usually don’t need to create a new game and start over, because you can literally change everything and create a new save for it. The only version you can use with Skyrim SE for now is the MO 2.0.7 and you can download it here. Before loading MO you need to copy SkyrimSE.exe and SkyrimSELauncher.exe to then rename them as TESV.exe and SkyrimLauncher.exe. You could directly rename the main files instead of creating duplicates, but I’d prefer to keep them as they are to avoid future troubles. The reason why you need to create these copies is because Mod Organizer will technically recognize the normal Skyrim in your main directory, essential to make it work. Once the installation is done click on the program and choose Portable from the starter window. For more details regarding the modification of your drop down menu in Mod Organizer you can check this explanatory video, the newly created executable files need to be added to the active profile. Note: The guy created new blank files instead of copying the main executables, but for some reason my Mod Organizer cannot properly load TESV.exe if it appears empty. Now, while the normal MO can automatically manage the NMM (Nexus Mod Manager) links from Nexus, with MO2 I can’t properly use that system even if I add my user account correctly. The only way to install your mods here is to normally download them saving the .zip/rar archives and add them manually into the program. Your mods will be added to the list on the left, if you have never used Mod Organizer before be sure to check every single file installed in order to add them to your game. If you are not loading your game through Mod Organizer (Run button on the top) that is surely the problem. The only way to properly load the mods installed with this program is to ALWAYS open Skyrim from there instead of using the normal shortcut or Steam. If you are opening Skyrim SE from MO, you probably haven’t activated the mods into the game before playing. Bethesda implemented the Mod category in Skyrim’s main menu, the only way to actually see the mods once you have installed them through MO is to also activate them in that section. It also allows you to change mod order, thing that usually was possible through Mod Organizer or LOOT. Be sure you don’t mess around with it too much though, usually the modders specify how you should set their content, if at the very beginning or at the end for a better usage. If everything works properly I’d leave the list as it is. You will get a new screen where you are supposed to insert your Bethesda account informations, but if you didn’t register on their site you don’t need to do that in order to enable your mods. Simply go to Load Order to get the entire list of installed files, then click on every single one to activate everything (and don’t worry about the spinning wheel you see on them). When you’re done and ready to go back, Skyrim will tell you it needs to restart to add the applied modifications. Click OK and wait until the main menu appears again. Most likely you have a mod (or more than one) which is not fully compatible or creates a conflict with something else. Uncheck all the latest mods you added to the list and select them one by one to see which one is causing the issue. If you get the same problem even without active mods you should research a bit further to figure out what’s causing this. You may want to try checking the integrity of your Cache from Steam (Right-click on game > Properties > Local Files > Check Cache Integrity), but for experience I can tell this only happened trying new mods in my case. 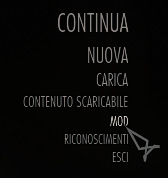 Same as above, try disabling the latest mods and test them one by one. Sometimes you may just install something without its required plugins (you can easily fix it by getting the main files indicated by the author), or it may not be compatible with the load order you got. Technically as many as you want, but I suggest you not to feed your directory too much unless you want it to explode. People say that installing more than 250 files would cause a permanent crash because the engine can no longer load such a huge amount, yet I think you can reach at least 300-350 mods before that happens. Still, the more things and scripts you install in Skyrim the more you risk to create a malfunction somewhere at some point. Download just what you really think would be useful for you and if you don’t care about taking screenshots, but mainly want to play with a pretty character and nice environments, you can definitely avoid any custom animation (also the number 1 cause of many issues if they are not set correctly). You probably have a mod which is not made to work with whatever you have installed, Or you accidentally got more than one file for the same thing (body, face, feet, etc). Modding Skyrim is very trial and error, you need to follow every written instruction carefully and run as many tests as you can whenever you add something new. Also try changing order in Mod Organizer, uninstalling and reinstalling a mod to push it down. Sometimes you can get a visible color difference between the head and the body if the main file and its custom retexture are inverted. You clearly forgot to run GenerateFNIS_for_Users tool before removing the mod. See if your Mod Organizer/mods path has any file with the .hkx extension (for example defaultfemale.hkx), you probably still have some FNIS trace somewhere and the game keeps loading that instead of its default animations. Alternatively you can try to reinstall FNIS and generate new behaviors if the tools work. Tip: You can take a look into the Data tab in MO and check Show only conflicts. I found it very useful when I knew I had more than one skin installed, but I wasn’t sure what to remove. If your current mod list makes the game run smoothly, I suggest you to create a backup for it. If you want to restore your backup to get rid of some problems you don’t really know how to fix without wasting an entire day (I’m not kidding, it could happen! ), click on the yellow arrow and select your latest backup from the list. All the new mods will be automatically deactivated only leaving your previous configuration. 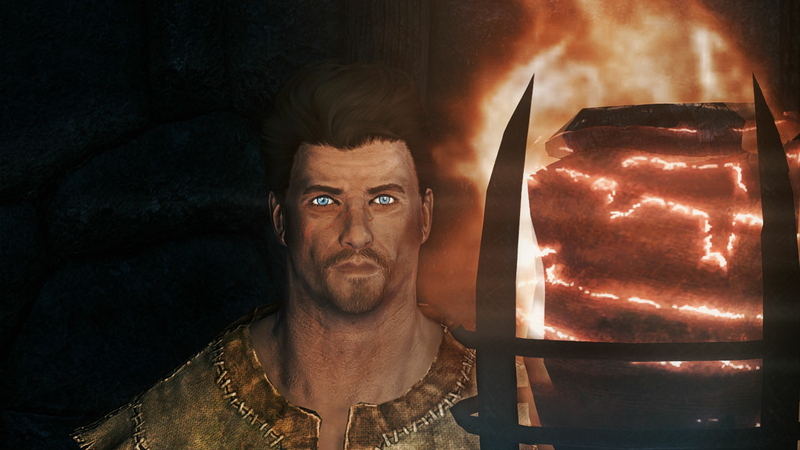 With the new 64bit version of the game we can now use standard ReShade or even combine the latter with ENB. It’s optional, but really helps in creating different atmospheres and adding more colors to your scene. Carefully read every provided description, sometimes ENB may even cause a CTD (crash to desktop) if something is missing or wrong in your main folder. New mods appear on the Nexus SE page every day, so I’m pretty sure we will be able to mod this game as much as the old one soon. Even if I honestly prefer to keep the Special Edition as clean as possible, avoiding mods that I can already use with the standard game and don’t really need to reinstall, I do love creating good looking characters and adding interesting details for my screenshots. Happy gaming and modding my dear adventurers! 😉 If you hae any question or suggestion let me know with a comment below.